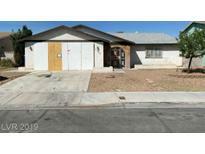 Find West Las Vegas, NV Foreclosures for sale. View Photos, Maps and MLS Data Now! Buyer is to verify schools, HOA, measurements and utilities. MLS#2086707. Hastings Brokerage Ltd.
Back yard offers covered patio, pool, spa and beautiful views! MLS#2088597. Easy Street Realty Las Vegas. Highly upgraded property with newer appliances. MLS#2088610. Zenith Realty Group. Buyer is to verify schools, HOA, measurements and utilities. MLS#2085152. 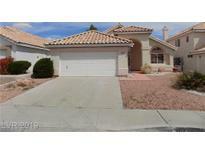 Hastings Brokerage Ltd.
Minutes from Las Vegas Blvd. Gated community. MLS#2086562. Crown Point Realty, LLC. 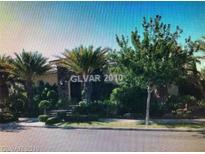 Short Sale Located In Guard Gated Bellacere Near Summerlin, Beautiful Kitchen With Huge Island & Walk In Pantry, Spacious Bedrooms With Walk In Closets And Bathrooms In Each, Large Backyard With Pool And Spa MLS#2084897. eXp Realty. Buyer to verify schools,HOA,measurements & utilities. MLS#2084034. Hastings Brokerage Ltd.
Part of bulk 5 unit portfolio sale, call agent for more info. MLS#2084737. Housing Helpers Of Las Vegas. Gorgeous Upgraded beyond belief property....everything has been remodeled and very well cared for without fail... MLS#2083959. HomeSmart Encore. Home Features, Huge Lot, Cul-de-sac Location, Beautiful Upgraded Flooring Throughout, Shutters, Quartz Counter Tops With Large Island, Tankless Water Heater, Nest Alarm & Thermostat System, Shutters, & Covered Patio. Excellent Value! MLS#2083280. Elite Realty. 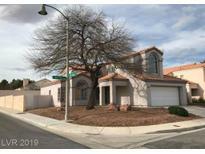 Large corner lot* No HOA* 3 Very large bedrooms and large open Loft area *Backyard with covered patio, Built in BBQ & Basketball Court*Buyer & Buyer's Agent to Verify all Info. MLS#2082779. America's Choice Realty LLC. Rare Find*fantastic Two Story Home*front Living Room*separate Family Room With Cozy Fireplace*oversized Kitchen With Island And Extra Cbinets Space*huge Upstairs Loft*popular Location And No Hoa*great Potential* MLS#2082908. Alajajian Properties. Buyer is to verify schools, HOA, measurements and utilities. MLS#2075161. Hastings Brokerage Ltd. Buyer is to verify schools, HOA, measurements and utilities. MLS#2080612. Hastings Brokerage Ltd.
Beautiful Spacious 4 Bd 2 Ba 2 Car Garage Pool/Spa Home On Corner Lot*woodlook Tile*custom Paint*very Well Maintained*front Living Room With Fireplace*dining Area*kitchen With Granite*separate Family Room*rock Scape Yard*covered Patio Pool And Spa*rv Gate & Rv Parking MLS#2080728. Elite Realty. This is an auction property and will be available for bidding soon. MLS#2081386. All Vegas Valley Realty. Master bathroom has his and her vanities and separate shower/tub, Nice size walk in closets. 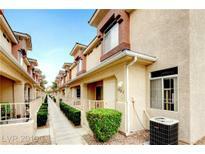 MLS#2081010. BHHS Nevada Properties. Seasoned landscaping with large back yard. MLS#2078516. Urban Nest Realty. You will know from the moment you walk in that you have found your forever home! 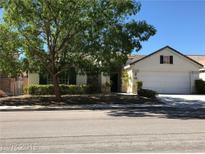 MLS#2078785. Rustic Properties. Back exterior features luxurious pool & outdoor kitchen. MLS#2077381. Resolution Realty. This Cozy Home under 300k has 3 Bedrooms Upstairs, 2.5 Bathrooms, 2 Car Garage, Master Bedroom has Fireplace & Walk-In Closet, Formal Living/Dining, Separate Family Room w/Fireplace, Kitchen has Granite Countertops including Breakfast Bar, Family Room w/fireplace MLS#2077634. Tri-Star Realty LLC. Cozy Condo Located On The Second Floor*community Amenities Include Walking Paths, Bbq, Community Pool And Spa, Tennis Courts And More*open Floor Plan*windows Throughout For A Bright And Airy Atmosphere*fireplace In Living Room*plenty Of Cabinets And Counter Tops In Kitchen With Breakfast Bar*two Bedrooms With Mirrored Closet Doors*large Bathtubs*shelving In Laundry Closet*so Much To See* MLS#2077577. Investpro Realty. Location*Location*At walking distance to all of the neighborhood's shopping and easy access to US-95*Beautiful single story on a large corner lot*Refreshed with new flooring, interior paint, updated kitchen*Vaulted ceilings*Front living room with cozy fireplace*Three spacious bedrooms*Storage shed in back yard*Great potential* MLS#2077035. Alajajian Properties. 1 bedroom & bath downstairs. 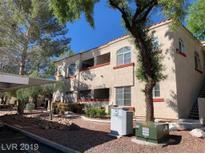 Great location and no HOA! MLS#2076170. All Vegas Valley Realty.